With the 8th generation of consoles (the PS4 and Xbox ONE) well into their own cycles, many within the gaming community might find it intriguing to note that a lot of gamers are looking backward as well as forwards. Call it what you will, nostalgia or perhaps a need to exploit the incredible affordability of older games, but people are interested in older consoles like the much-lauded PS2. The question of course is “why”? What is it exactly that makes an individual want to go back and delve into an outdated console’s back-catalog, anyway? Well, for starters, there’s a burgeoning class of gamers who consider themselves to be bona-fide “retro” specialists. Moreover, quite a few of these same people are also finding success in creating media for the internet (think: YouTube and social media). What better way is there to increase one’s total number of followers than to go back and do a “Let’s Play” series utilizing some of the biggest-selling and most well-known titles? Chances are you’ve already scanned a few of these types of videos yourself, perhaps in an effort to recapture some of that gaming magic from ages past, or to re-experience a campaign without having to dig out your old console. Regardless, this is all beside the point; our focus here is on the PS2 itself and its accomplishments. For starters, let’s look at the history of the console as well as some of the more interesting facts surrounding it. 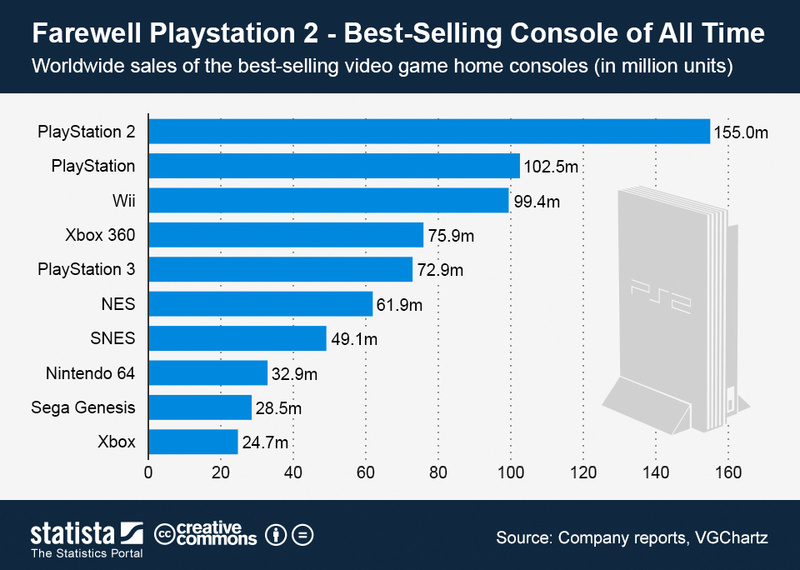 Perhaps the most interesting factoid concerning Sony’s PlayStation 2 is its sales figures, which indicate that it is still the best-selling video game console – including handheld consoles, like the Nintendo DS – of all-time. Since it first came onto the market in March of 200, it sold over 155 million units before production finally ceased in early 2013 – an impressive feat in consumer electronics and marketing, to say the least. The PlayStation 3 never matched its predecessor’s success, selling less than 84 million units in its ten years of production. As for Sony’s latest console, the PlayStation 4 has currently sold around 73 million units. Whilst that’s certainly impressive, given that it’s only been around for 4 years, it’s unlikely that even the excellent PS4 will surpass the mighty PS2’s sales figures. In terms of actual games, over 3,800 individual titles were created for the 6th generation console, which is truly mind-boggling if you think about it. In fact, developers continued to pump out games for it long after the PS3 was released, with “Final Fantasy XI: Seekers of Adoulin” and “Pro Evolution Soccer 2014” being two of the more noteworthy examples. Of all the games produced for the PS2, the total sales figures indicate that at least 1.5 billion copies were sold! Needless to say, this isn’t even accounting for all the used game sales or trades that have taken place: had all of these figures been added up we would likely see that a good portion of the world’s population has probably played at least one PS2 game during their lifetime. The best-selling game of all time for the PS2 was Grand Theft Auto: San Andreas, which shifted a mighty 17.3 million copies worldwide. In fact, the GTA and Gran Turismo series accounted for the 5 most commercially-successful games between them. As you can clearly see, the PlayStation 2 was simply one of those consoles that found a way to reach unheard levels of appeal with regards to the tastes and expectations of the international public. 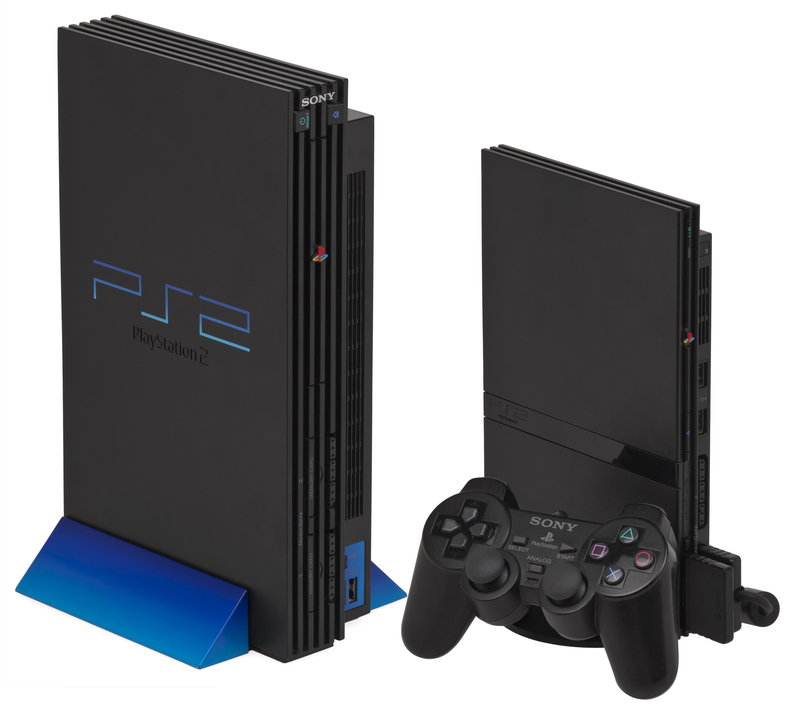 The PS2 was one of the first consoles to incorporate the ability to play and utilize the DVD format, effectively turning it into a combination device suitable for playing games as well as movies. Without a doubt, this facility helped to propel it to even greater heights in terms of sales, with many people probably opting to buy one in lieu of purchasing a player that was solely devoted to handling DVD’s. This is a formula which Sony continued to follow in their subsequent releases, with the PlayStation 3’s Blu-ray capabilities being one of the things that separated it from the Xbox 360 (which, of course, made the tragic mistake of prioritizing HD DVD instead). CPU: 128-bit “Emotion Engine” clocked at 294.912 MHz (299 MHz on the newer versions), 10.5 million transistors. Main processor: MIPS R5900 CPU core, 64-bit, little endian (mipsel). Needless to say, with the addition of this hardware (a significant upgrade from that of the PS1), a whole new world of graphical / processing capabilities opened up for developers to explore. That being said… can you believe these specifications now? The PS2’s memory was 32 MB; the PS4’s is 8 GB. Wow. Perhaps most amazingly of all, the standard size of a PS2 memory card (remember those?) was an astonishing 8 MB; by contrast, an original PS4 shipped with 500 GB of internal memory! As far as connections go, the outside of the PlayStation 2 featured an output slot which utilized a cable capable of connecting to a TV via RGB, VGA, Composite or even S-video. Additionally, there were even USB slots for connecting devices as well as a IEEE 1394 expansion port. Some titles required a hard drive to be installed (on the reverse side of the console). Finally, it’s quite amazing to think now how the PS2 had no built-in network capabilities. If you wanted to get your console online, you needed to insert a network adapter into your PS2’s expansion bay, which could be used either with dial-up or broadband internet. To their credit, Sony did cotton on to how important online gaming would become pretty quickly, and included a built-in Ethernet port in their later, “Slim” models. At the time of the PS2’s unveiling, its main competition was the Sega Dreamcast, a somewhat similar system. In a short amount of time, it became clear that Sony had effectively trounced Sega (the Dreamcast only ever sold a measly 9 million units) and this led to increased popularity which resulted in short-term shortages of the console. In fact, some people were actually spending hundreds if not thousands of dollars on online retailing sites for a PS2! It should also be noted that the PlayStation 2’s design was also altered a number of times. The first iteration, also known as the “fat” model, was eventually replaced by the “Slim”, which itself was later revised. Again, this model of innovating upon the same console proved so successful that Sony continued to utilize it, releasing multiple versions of both the PS3 and PS4, and in the process boosting their sales figures for both. 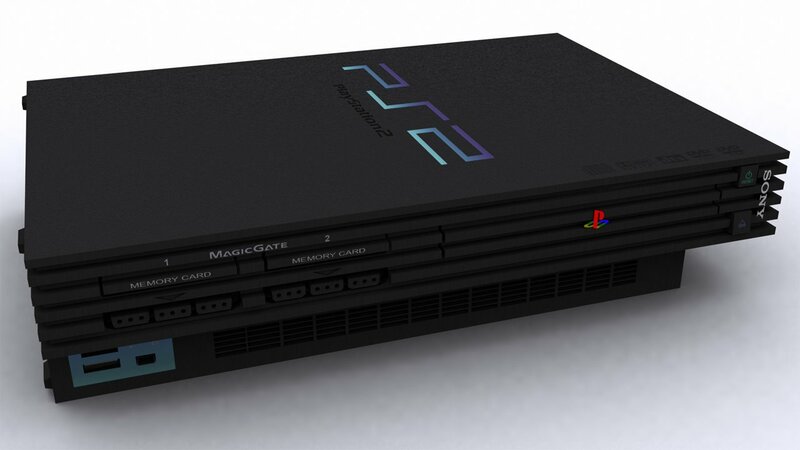 To put it bluntly, the PS2 was a hell of a console – truly a first of its kind. If you take into account its incredible popularity as well as its prolific library, it’s not out of place to label it the most successful home video game system of all time. The fact that even the PS4 – despite its incredible commercial and critical success – is still unlikely to out-sell it tells you everything you need to know. Regardless, if you’re a gamer and are looking for something to occupy yourself with, you still might want to consider picking up a PS2: they’re basically dirt cheap (you can easily get a bundle, with the console and plenty of games, for less than £30 on eBay right now) and the games are literally everywhere.